Print the Jewish Stars pattern on yellow paper and cut out six of the small or medium stars. 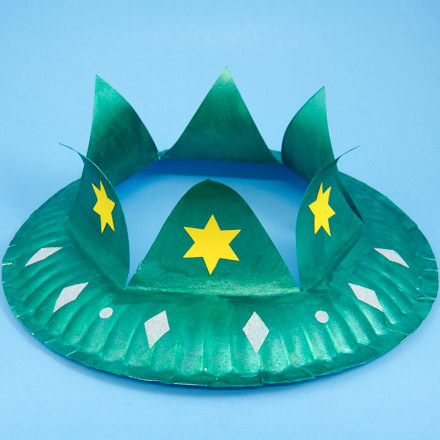 To make the Purim crown, you will decorate a paper plate crown made following the directions in the Valentine Crown craft project. 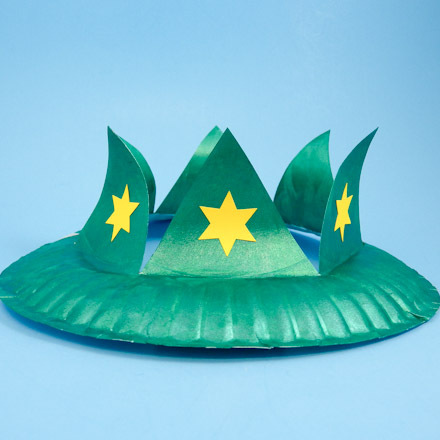 The sample crown is made from a white paper plate painted with metallic green acrylic paint. A Star of David is glued to each crown point. You can also glue jewels on the crown with jewel-shapes, like diamonds, cut from glitter tape or paper. Follow the instructions in the Valentine Crown craft project to make your Purim crown. Tip: The Jewish Stars pattern includes templates for cutting Stars of David in other sizes from any craft paper. Cut out the half-star template of you choice. Fold the craft paper in half, and trace around the star points while holding the template's straight edge along the paper's fold. Cut out the traced star. That's it! Your crown is done! 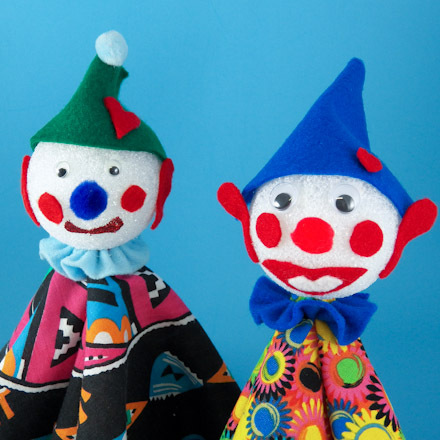 Tip: The Purim crown can be made without jewels. Tip: You can make crowns for other holidays by changing the decorations. 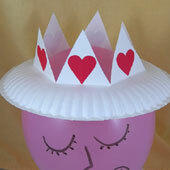 Make a crown for Valentine's Day using heart cutouts. See how in the Valentine Crown craft project.